Thanks @Influensterca I was so happy to be one of the many lucky members to be chosen for this @Influensterca @LaysCanada #poppables #VoxBox. I was sent to my mailbox #poppables Honey BBQ. My family and I were totally amazed with the delicious, not too spicy and the perfect barbecue flavor. @LaysCanada NEW #poppables are going to be a sure hit snack for the Summer and throughout the year. They also come in Sea Salt and a so yummy White Cheddar which I have already bought a couple of times. #layscanada #poppables are so light, but crisp and just a bursting with so much flavor. They are the perfect solution for when you are craving or want to serve the ultimate taste experience to your friends, family and party guests. #poppables would be a great road trip , picnics. movie night and at your next family barbecue snack. Once you open a bag #layscanada #poppables you better have more on hand because they quickly disappear. Thanks so much @influensterca and @LaysCanada for letting me try and review NEW #poppables So Yummy. This is a NEW @Chickadvisor Schwarzkopf® Root Retoucher™ hair care campaign. It is to help keep your grown in roots and in my case grays hair not to be as noticeable until your next coloring . I found it did just that. I am light blond so I was given #gotitfree Schwarzkopf® Root Retoucher™ Light Blond. I do not like to color my hair too much. I color my hair maybe 3 to 4 times a year. Being fair haired my roots come in very dark and are so noticeable. So I was very grateful and excited to have the chance to try and share my review @Chickadviosr about NEW Schwarzkopf® Root Retoucher™. I found the spray can very easy to use, the nozzle precisely went where I needed the coverage. No residue or left over powder left in my hair. It also did an astounding job blending in with the color of the rest of my hair. Not noticeable at all just looked natural and as if I had just colored my hair. It did hide dark roots and even colored all of my grays. No harsh odor, no oily feel and looked even toned. Best of all it is so fast, convenient and great for touch ups whenever I needed them. I was surprised and completed satisfied with @Schwarzkopf® Root Retoucher™. Coloring your hair often can be so hard on your hair and cause permanent damage. Most dyes use chemicals and harsh ingredients in their permanent dyes. So Schwarzkopf® Root Retoucher™ will help you not to color every couple weeks or every month and save on costly salon visits when new hair growth happens. So it saves your hair health, as well has saving money because permanent dyes and hair coloring that can be so expensive. I have used other brands of root cover ups like comb in, brush in, pens and messy creams. I found this Schwarzkopf® Root Retoucher™ worked just as well and in some cases better. But without all the work. This is worth buying to keep your hair looking great, no dark roots and no grays. You can have perfect looking hair with Schwarzkopf® Root Retoucher™ . No Mess, No Fuss and No Worries. Schwarzkopf® Root Retoucher™ comes in many different shades so you can find the perfect shade to match your hair color. Just think beautiful hair all the time. I will buy and apply this to keep my hair looking great all the time. I truly loved and was completely satisfied with my results. Thank You @Chickadvisor and @Schwarzkopf for letting me be a part of this campaign. For more information about @Schwarzkopf® hair care you can checkout their websitewww.schwarzkopf.com/en/home.html and follow them on Facebook @Schwarzkopf, Twitter @SchwarzkopfPro@SchwarzkopfCAN and Instagram search schwarzkopf . This is the @KMSCanada Haircare Lovely and Generous prize I was thankful and Lucky to win from @CatForsley #MyLipAddiction Instagram Giveaway. I have to be honest this is the first time I have ever seen or heard of this brand. So I was very excited to try their Kms shampoo, Kmsconditioner and Kms Therma Shape (Quick Blow Dry). The giveaway also included a nice leather travel bag which say on it #stylematters . I have used all of Kms haircare several times and I really like all of their haircare products. The Kms Moisture Repair Shampoo really has a nice light scent, the lather is rich and after I rinsed it left my hair so clean. Then I applied the Kms Moisture Repair conditioner massaged it throughout my hair, left on a few minutes and rinsed. Already I could feel and see the difference in my hair. Kms Therma Shape (Quick Blow Dry) I was thrilled to see that @KmsCanada gave me two of this product. I always blow dry my hair. I have long hair so it takes time to dry if I don’t use a blow dryer . I have tried many other brands of pretreatment sprays and creams before drying and styling my hair but I never seen much of a difference or my hair seemed oily and weighed down after using some of them. This truly surprised me it really did cut my drying in half so it is a real time saver. I also found it protected from heat , moisturized, tamed my frizz, my hair looked soft, shiny and made styling more easier. It also has a very light scent, not overpowering. @Kms Therma Shape (Quick Blow Dry) really does work at drying faster making less heat from your blow dryer that can dry out and cause damage to my hair. In closing I just want to say Thank You So Much @KmsCanada and @CatForsley #MyLipAddiction for giving me the opportunity to try and share my experience using @KMSCanada Haircare. I was very pleased with the way my hair felt and looked after using just a few times. I would buy @KMSCanada Haircare again and highly recommend. For more information about @KMSCanada Haircare Products you can follow on Facebook @kmcanada @kMSHAIRCA http://www.kmshair.com #stylematters. Teint Idole Ultra Stick. I have been using the same brand of liquid makeup for many years so I needed and wanted a change. Since I am 56 my skin has definitely changed and I wanted a foundation that would help me have a more updated, youthful and radiant appearance. Also to help brighten my skin tone. So I was looking forward to trying this @LANCÔMECanada Foundation Box Set. I found that @LANCÔMECanada Foundation did all what I wanted and more. All three foundations worked beautifully. Whether I wear them alone or all together. Have never used anything like them before. I was truly happy with my new improved look from @LANCÔMEParisCanada Foundations. LANCÔME Teint Idole Ultra Wear Liquid Foundation is very easy to apply comes with a pump applicator so you can use as little or as much as you need. It is a lightweight liquid foundation. What I love about this foundation is that because I wanted a foundation that will not be too heavy, but still gave me the coverage I needed without caking in my lines and wrinkles. Help to cover imperfections like redness, age spots and make my lines smoother in appearance. Honestly this LANCÔME Teint Idole Ultra Wear Liquid Foundation does all of that. It also left a great base for the rest of my daily makeup routine. LANCÔME Teint Idole Ultra Cushion Foundation is very new to me. I had never tried a cushion foundation before. It is such a lovely compact. Great to carry with you in your makeup bag for quick touchups. It gives my skin a luminous glow, outlasts any other foundation I have used and it gave me a flawless completion. It also contains sunscreen broad spectrum SPF 50 so it helps protect from the sun. I found it very easy to apply and I had a smooth, perfect and glowing look. LANCÔME Teint Idole Ultra Stick this is a must have in your cosmetic bag. It is perfect for all skin types, gives you great coverage and a fabulous finish. It helped me to cover more noticeable areas, conceal redness and age spots. It is great for touchups during the day and evening. Helps to keep me looking refreshed and fabulous right into the evening. I also found it really good to use as a concealer. I applied it before using LANCÔME Teint Idole Ultra Wear Liquid Foundation under my eyes then using a sponge lightly helping to hide puffy and dark circles around my eye area. This is a must have. I have heard of @CetaphilCanada Skincare through review sites and social media. Everything I read was so positive, that it is a well known brand, it has been around for 70 years and also so many complimentary and highly recommended reviews. But to be honest this was the first time I have ever used any of their skincare products. I entered a giveaway #MyLipAddiction’s Beauty Blog which I follow on a regular basis written by @CatForsley always features the best beauty finds, generous giveaways, up to date fabulous style trends, reviews and much more. So I really tried and wanted to win @CetaphilSkincare which consisted of Cetaphil Daily Advance Ultra Hydrating Lotion, Cetaphil Facial Moisturizer and Cetaphil Oily Skin Cleanser. All full-size skincare products. Early in the morning when I was getting ready to go to work I checked my emails. I received a email that I had actually won @CetaphilCanada from #MyLipAddiction Instagram Giveaway I was so surprised and so happy. It totally made my whole day. It only took a couple days to arrive in my mail. 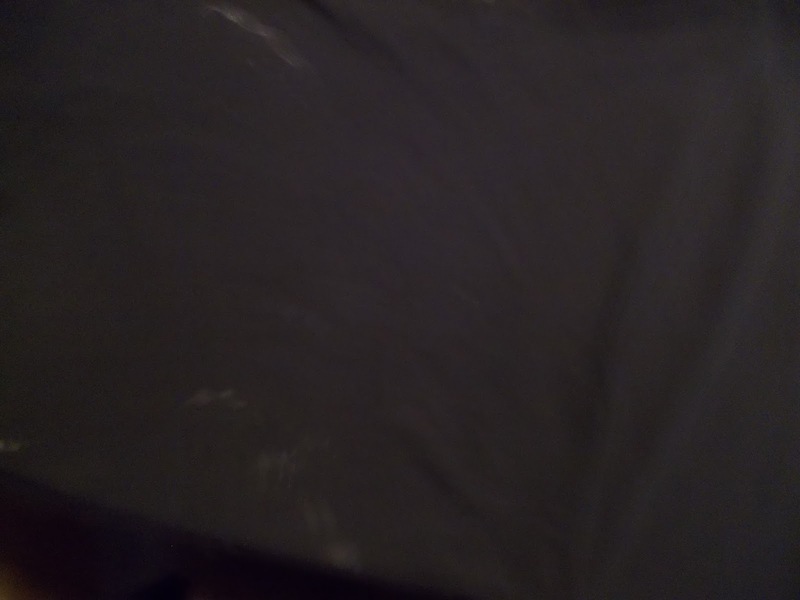 When I opened the package I was so impressed with how large these products where. Much larger than many other skincare brands. I couldn’t wait to try @CetaphilCanada Skincare. That night I used the Cetaphil Oily Skin Cleanser which can be used for (normal to oily skin) to wash my face. It did a really great job at removing all my makeup. It was so gentle, but also it did not dry out my skin. I love that it has no scent which for myself I prefer because I have very sensitive skin. My face looked clean, well moisturized and soft. I was very pleased with Cetaphil Facial Cleanser. In the morning after using Cetaphil Facial Cleanser I tried for the first time Cetaphil Facial Moisturizing Lotion. I love the pump giving me as mush moisturizer as needed. It absorbed my face so nicely. It is non oily , greasy and not heavy like many other face moisturizers I have tried. It is the perfect for under my makeup. This @Cetaphil DailyAdvance* Ultra Hydrating Lotion with (shea butter). It also contains 5 key ingredients Epidermal Replenishing Complex 5. It also is fragrance free. It is also recommended by Dermatologist. So it can be used by all skin types and all ages because it is especially formulated for sensitive skin. It is a perfect body lotion because not only does it deeply moisturize, hhydrate, replenish, it also protects and keeps on hydrating your skin for 24 hours. My skin feels so soft, smooth and healthier all over. I would like to say Thank You @CetaphilCanada & @CatForsley #MyLipAddiction for giving me the chance to try & review #gotitfree . I truly love this skincare and can’t stress enough how thankful that I won. I am going to use my coupons to try and purshase @CetaphilCanada Skincare to try Gentle Skin Cleansing Clothes and Rich Hydrating Night Cream with Hyaluronic Acid. @CetaphilCanada Skincare also makes a Men Skincare Line and many Gentle Skincare Products for infants and children. If you would like more information about all the fine quality skincare products you can visit http://www.cetaphil.ca. You can also follow them on Facebook, Twitter, YouTube and Google. When I found out that I was getting a chance @SocialNature to be a part of @SatyaOrganic Skin Care especially formulated for people that suffer from Eczema I was very happy, and pleased to try and review @SatyaOrganic Eczema Cream. I myself do not suffer from severe eczema but I do get dry, very itchy skin behind my knees, neck, legs and sometimes on my arms . Sometimes when I scratch it leaves bumps, redness and it is sore. Seems nothing I have used helps to relieve the itching and the irritation. In fact some lotions and medicated balms that contain chemicals and fragrance just make it worse. I have very sensitive skin so I like to use all-natural, organic and the purest ingredients on my face and body. This @SatyaOrganic Eczema Cream as no scent, contains simple but effective ingredients like Jojoba, Sweet Almond Oil, Beeswax, Calendula flowers and Colloidal oatmeal . When I read and learned more information about this cream I felt save applying it. I even read you can put it around your eye area. Now how many products can you do that with. This is so gentle it can be used anywhere on your body or face. There is no taste so you can even use it for cracked, chapped and sore lips. I found that I had instant relief. Made my lips smooth and soft again. This @SatyaOrganic Eczema Cream is perfect to keep in your home, first aid kit, work and in your purse so you can get fast instant relief. It can also be used for bug bites, sunburn and rashes. I have a girlfriend that I have known for many years. I remember her constantly upset over her severe eczema. Not just all over her body but you could see it on her face. I also remember her trying to cover it with liquid foundation. I talk to her at least once a week and I told her all about the benefits of @SatyaOrganic Eczema Cream and how she should try it. She said she has tried numerous products and even has gone to a dermatologist but nothing has helped. I truly believe in this product and I am going to purchase it and send it to her. I would also recommend and buy this for myself and family because it is product that has so many practical uses. I want to Thank You @SocialNature & @SatyaOrganics for letting me learn, use and be a part of #GotItFree Campaign. This organic, natural alternative and safe @SatyaOrganic Eczema Cream. I am sure it will change many people lives that suffer from eczema, chapped, dry and cracked skin and help with soreness giving quick and instant relief. Make their daily lives more comfortable, less stressful and feel better about their appearance and their skin. For more information about how @SatyaOrganics Products can work for you go to http://www.satya.ca #trySatyaOrganics . I came home from work and I had seen a note on my door that I had missed a parcel delivery. So I got back in my car and went to pick it up. I had no idea what it could be. When I got to Purolator I went in and got my package. As soon as I got in the car I opened it up. I seen a card hand written from the famous and so generous @DaveLackie. I was so thrilled and surprised because I knew I had not won any of his contests. Which I have been so fortunate to win in they past. The card said thank you for being so kind to my Twitter followers and it was personally signed by Dave Lackie himself. The package contained two @ClarinsCanada Sun Care Products. This was a very welcomed surprise. I have always been a very fair skinned. I burn very easily and I try my best not to be in the sun. Another reason is because I watched my mom go through a traumatic experience. My mom had started out with a small spot on her upper lip . At first she was not to worried but when it did not go away, it started to get darker and larger. My mom went to the doctor and was diagnosed with skin cancer. My mom has always been a very beautiful women. I remember she was a sun worshipper. She always had the most beautiful tans. She would lay in the sun read books, enjoyed gardening and both my parents would spend the whole day outside all summer. My mom had surgery to remove the cancer but it left a dark purple scar that effected her for the rest of her life. 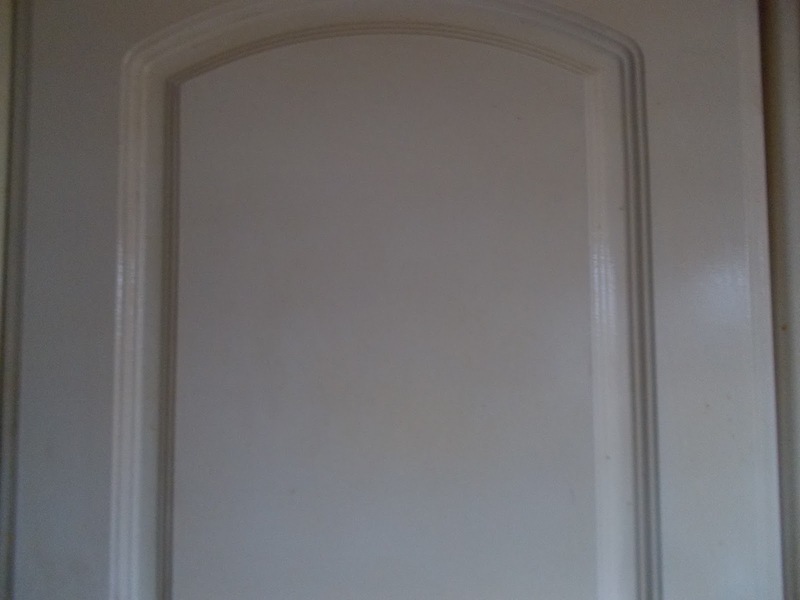 Over the years it has faded and with makeup it is hardly noticeable. But it left me afraid of the sun. So if I have to go out in the sun I am always looking for very good products to help keep me safe from sunburns. So @ClarinsCanada Sun Care Products was such a thoughtful gift from @DaveLackie. Since getting @ClarinCanada Sun Care Milk Lotion Spray 20 FPS/SPF Broad Spectrum and @ClarinsCanada Sunscreen Stick 30 FPS/SPF Broad Spectum . I have felt so much better about being in the sun. I honestly love the convenience, very easy to use and the way this sun care feels on my skin. The Milk Lotion Spray is very light not sticky, or oily and is not heavy like other sun care products I have used in the past. You just spray on you the areas of your body that you want to protect, it absorbs very quickly and you can enjoy your day. Not only does it protect you from sunburn it also helps to prevent premature aging , age spots, fine lines, wrinkles that are caused by the sun and it hydrates your skin. It is also water resistant so you can feel safe even in your pool and at the beach. I honestly loved and recommend @ClarinsCanada Sun Care Milk Lotion. I have never heard or tried a sun care product like @ClarinsCanada Sunscreen Stick for (sun-sensitive area) SPF 30 @ClarinsCanada Sunscreen Stick protection. This is so handy to carry in your purse, beach bag and your car. It is so easy to use on your most sensitive and areas that are prone to being sunburnt like your nose, lips, ears and even your scalp area. You would never think of these areas but it is very important to protect them as well from sunburn. This product does all that. @ClarinsCanada Sunscreen Stick worked so well keeping me secure and safe from the sun. I want to say Thank You @DaveLackie & @ClarinsCanada for helping me feel safe, secure, well protected and helping me to enjoy the sun again. A few weeks ago I was informed that I had been chosen to try and review.#gotitfree @ChickAdvisor Campaign NEW @AveenoCanada Body Yogurt Skincare Products. I was given two full size products to use. Aveeno (Active Naturals) Daily Moisturizing Yogurt Body Wash Apricot & Honey 354ml and Aveeno (Active Naturals) Daily Moisturizing Body Yogurt Apricot & Honey lotion 195ml. Because I have been a active buyer of Aveeno Beauty Products Brand for many years I just could not wait to be a tester of both these Aveeno NEW Yogurt Products. #AveenoBodyYogurt. These @AveenoCanada Body Yogurt arrived so beautifully packaged via @ChickAdvisor right to my mailbox. Right I way I open both. I could smell a light, fresh and fruity aroma of apricots. I just had to try the Aveeno Daily Moisturizing Body Yogurt Apricot & Honey Lotion right a way. I opened the jar and put some on the back of my hand just to get a feel of this new Yogurt Body Lotion. Right away I could see a difference from one of my hands compared to the other. My skin looked more healthy, glowing and moisturized. It could actually feel it deeply penetrated my skin. My hand felt so soft with no greasy or oily feel which I have experienced with other body lotions I have tried. It is truly different because of the Greek Yogurt . I found it very gentle so it would be a wonderful body lotion for all skin types. The next morning after my shower of coarse using NEW Aveeno Daily Moisturizing Yogurt Body Wash apricot & honey. I used my Daily Moisturizing Body Yogurt apricot & honey lotion while my skin was still a little wet so I could get the full effects of this Aveeno Body Yogurt. I used it everywhere my knees, elbows, shoulders, back, chest and even on my feet. My skin felt totally enriched with moisture for 48 hours and more. So soft to touch and silky looking. With this being the first day of Summer when we are all showing more skin this is going to be a definite Go For skincare @Aveeno Daily Moisturizing Body Yogurt apricot & honey lotion. You must try this New Yogurt enhanced Aveeno Body Lotion. You will love the look and feel of your skin. I also received via @ChickAdvisor New @Aveeno Yogurt Body Wash Apricot & Honey. I also love the fresh, light, and apricot infused scent. My shower is my way to start my day feeling awake, clean and fresh. This NEW Aveeno Yogurt Body Wash does all that for me. I loved the rich and foamy lather. I could feel it not only clean and refresh my skin. But I could feel it saturate my skin with moisture. Even though it is formulated with healthy Greek Yogurt. It also contains Oatmeal that is great for dry and itchy skin. Again I found this body wash gentle to shower with everyday and I would recommend it for all skin types. It left my skin feeling so amazing, so soft and so clean. That seemed to last throughout my whole day. You can also use this @Aveeno Yogurt Body Wash Apricot & Honey as a shaving lotion to leave your underarms and legs soft, silky and smooth. This is a must have New @Aveeno Yogurt Body Wash Apricot & Honey for your personal hygiene routine. I took the @OxiCleanChallange . I was so happy when I got the email @ChickAdvisor that I was going to be participating in this New @OxiClean Campaign. I have to do laundry at least every two days. Laundry at my home is a very time consuming chore for me. Todd and Billy work as HVAC Installs. So their work clothes are always covered with ground in mud because much of the job is done outside. Also putty, grease, cutting oil and paint. I have tried everything from soaking, scrubbing and many stain removers over the years. Nothing seemed to work. 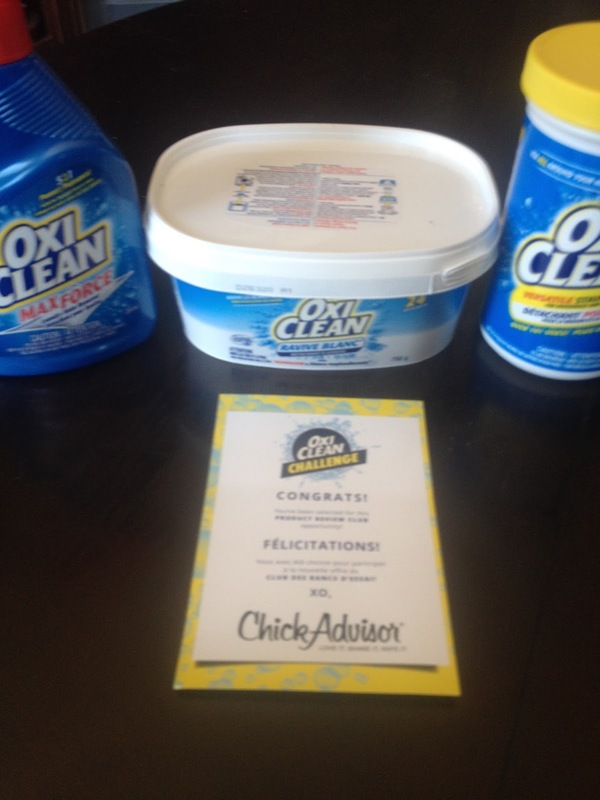 @OxiClean and @ChickAdvisor have given me 3 NEW Oxi Products #gotitfree to try and give a honest review about how the @OxiClean Laundry & Stain Removers w. worked for me. 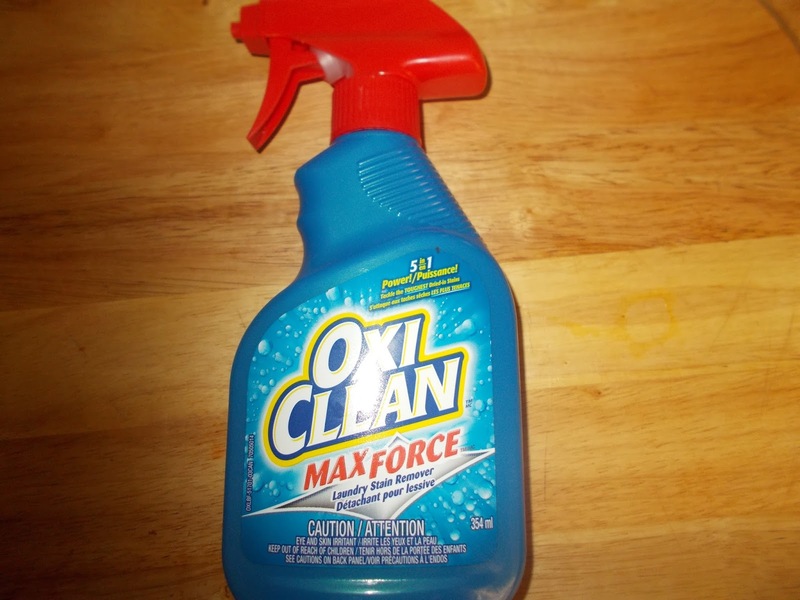 Oxi Clean Max Force -This is a product that is used for ground in stains such as blood, grease, grass stains and even red wine. With this product there is no pre soaking and no scrubbing . I read the directions and all I had to do is spray directly on the soiled area. Then let it sit for five minutes and wash using my normal brand of laundry detergent. I was so surprised how easy it was to use @OxiClean Max Spray. When I took my clothes from the washer I immediately seen a big difference. I put them in the dryer. Removing the work clothes getting really to fold I was so amazed to see the stains were gone. I have never seen such results with any of the many stain removers I have tried and wasted money on. 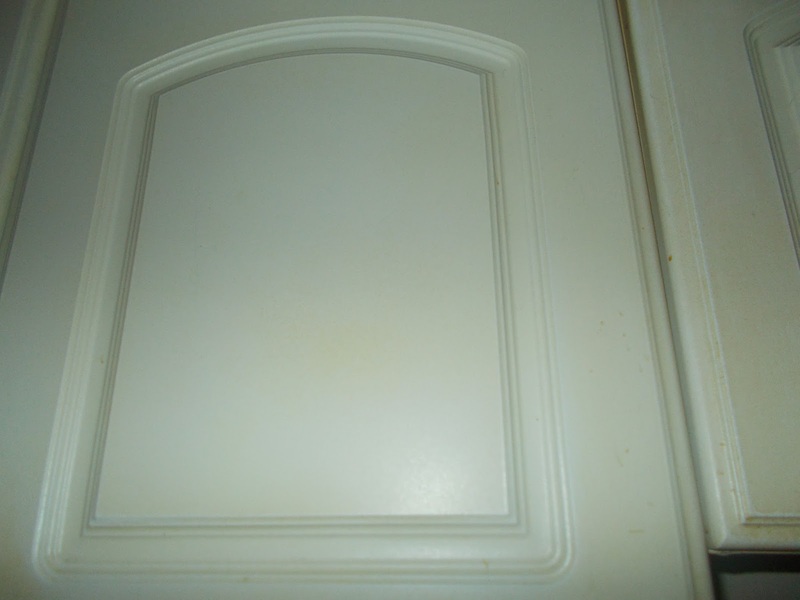 I have provided pictures of before and after so you can see what a great job @OxiClean Max Spray did. It really works. 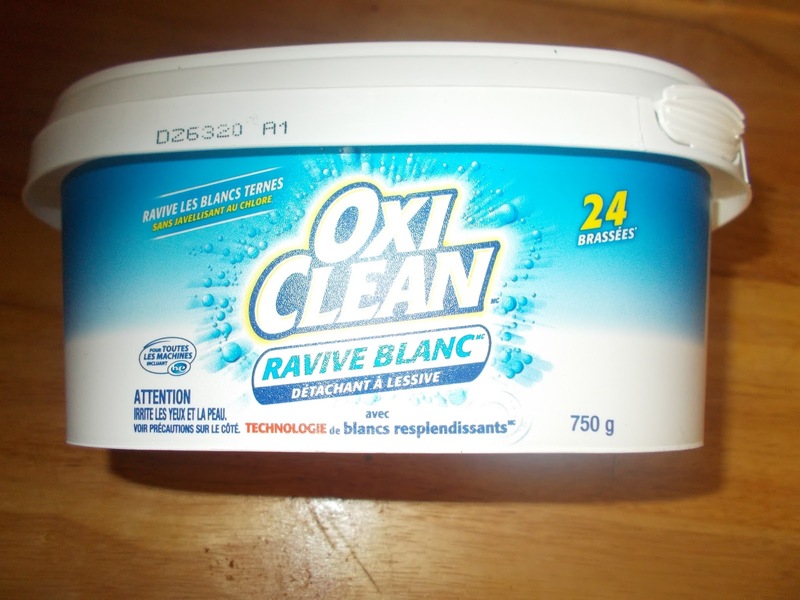 @OxiClean White Revive this is a product is fabulous. 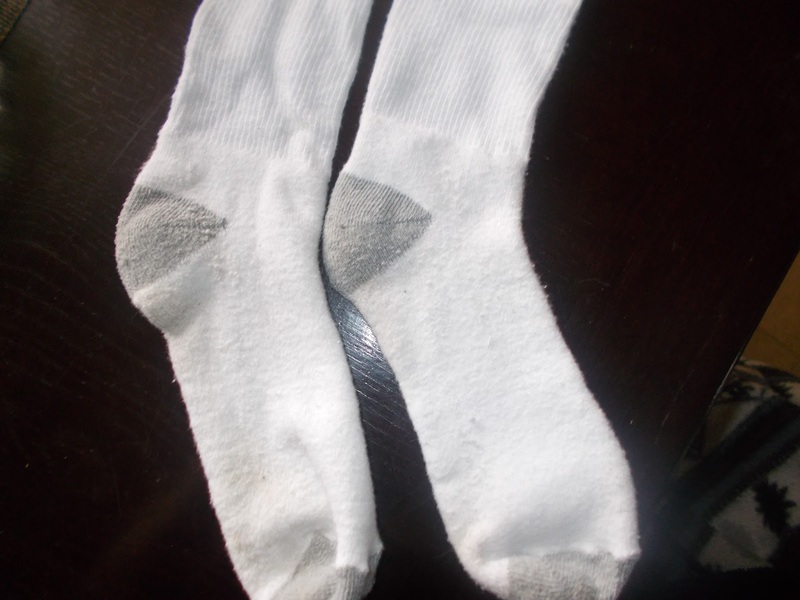 We all wear white socks the bottoms are just impossible to get white and clean again. I also love white clothes but after washing a few times they usually start to look grey or yellow. 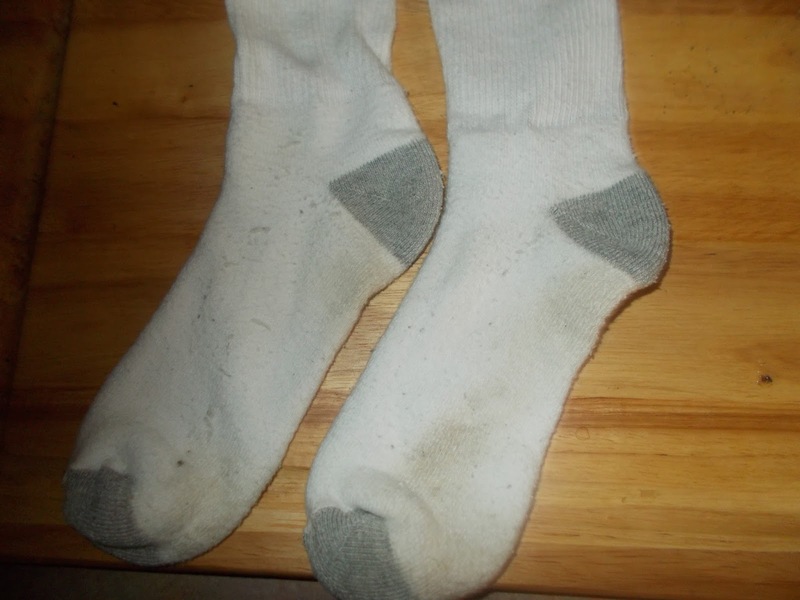 With this product I found it really helped to keep my linens, clothes and my socks look so much whiter and brighter. But it also helps and prevents them to stay that way. I hate to use bleach so this is a much better and safer way for whitening and brightening your whites. I just love this @OxiClean White Revive so much. It really does make such a big difference. I like to hang my laundry outside with the warmer weather coming. So I like my towels, sheets and clothes to look clean, white and bright. This product accomplished just that. 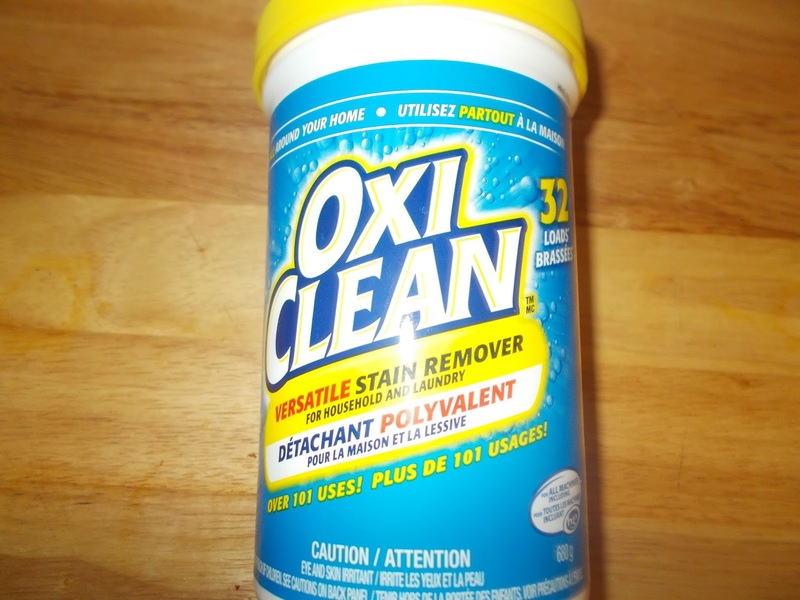 @OxiClean Versatile Stain Remover is my personal very favorite. This product is a must have because you can use this in every room of your home indoor and outdoor. It has 101 uses. Not only is great for pre soaking and adding to your washing to help remove stains and keep colors looking brighter. It also can be used on your tile floors, patio furniture, your deck, hard surfaces like countertops, white cupboards and even white appliances to help everything in you home cleaner and beautiful. 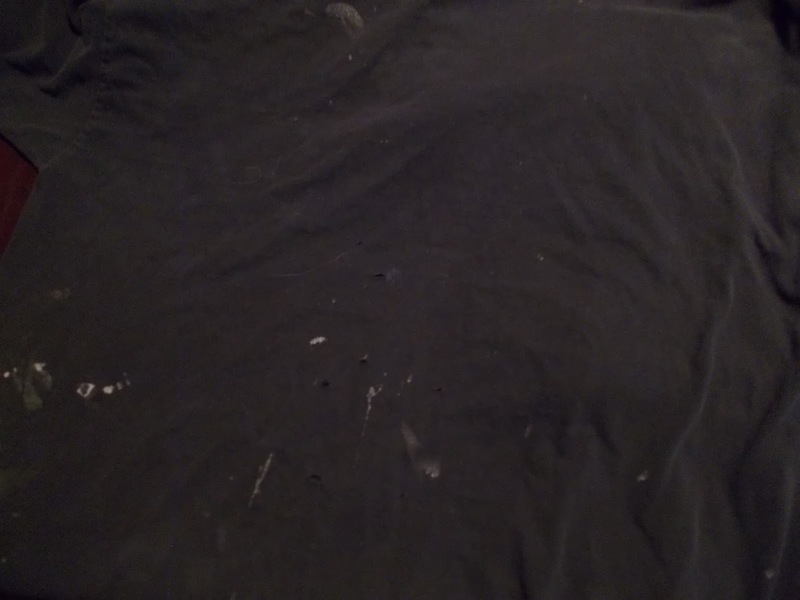 I used @OxiClean Versatile Stain Remover in do many ways and I got terrific results. I have white floors, cupboards and appliances in my kitchen so I put a scoop which comes with this product. In a pail with warm water. It really did a wonderful job. My kitchen never looked so clean. Just think of all the Spring Cleaning this product can do and help make your housework so much easier. I even soaked my sinks and bathtub with @OxiClean Versatile Stain Remover. I am blown away with these @OxiClean Products. I want to say Thank You @OxiClean and @ChickAdvisor for letting me take the #OxiCleanChallange. You have made my laundry and cleaning routine so much faster, easier and more efficient. Not to mention saving me money not having to buy so many household cleaning products. I have and will continue to recommend @OxiClean Products to all family, friends, co workers and share on all Social Media because it truly works. Take the #OXICLEANCHALLANGE you will be happy you did. To see more of all the ways @OxiClean can make a difference in your home www.oxiclean.com.